Did you know that in addition to four lovely markets and a farmer’s market stand, Blush Lane also has an organic orchard? It’s true! This lets us grow much of the produce we sell, meaning we can control the whole process, from seed to store. 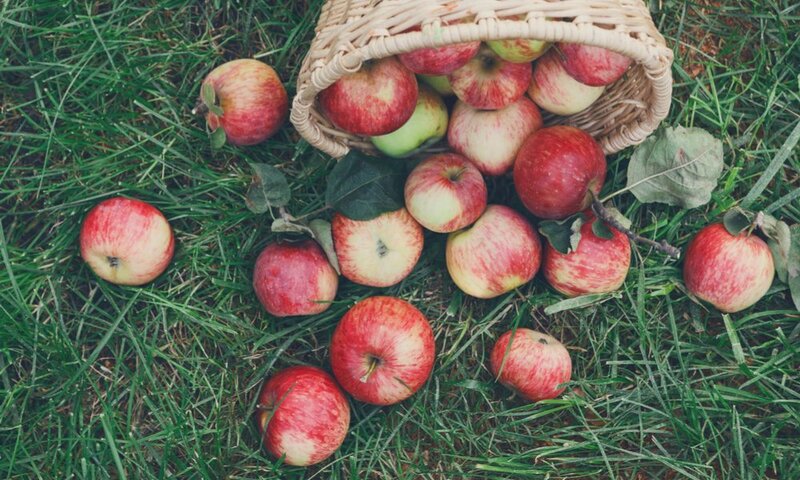 Tucked in the picturesque Similkameen Valley, you’ll find our very own orchard. This is where we grow some of the delicious organic produce that’s carried at our markets and on SPUD.ca. Purchased in 2006, the orchard is owned by Blush Lane founders Rob and Zenya Horricks and their family. The Horricks family, also a member of the COABC (Certified Organic Association of BC), is committed to making organic produce more widely accessible. From 2006 to now, the orchard thrives with an abundance of fruits and veggies and serves local communities in Calgary, Edmonton and BC with affordable organic produce! Our orchard is just outside Keremeos, BC – right in the heart of the growing capital of Canada. More than 40% of the farms in the area are organically certified, also making this Canada’s organic farming capital! While we offer plenty of fruits and veggies, our orchard specializes in tree-ripened fruit. This includes plenty of varieties of apricots, peaches, nectarines, plums, and apples! Other fruits and veggies include melons, summer squash, cauliflower, cucumbers, and root veggies. See our full list of 2018 produce and when it’s available here. If you’re travelling through the Similkameen Valley, stop by our fruit stand! Whether you’re on your way through the BC interior, the Okanagan or along the Crowsnest Highway, it’s an easy stop along the way. With organic produce picked just steps away, this is farm to fork (*hand) at it’s finest. If you can’t make it to our fruit stand, have no fear: we also ship directly to our markets in Edmonton and Calgary. You can also order online from SPUD.ca! If you’re looking for farm-fresh produce (without going to the actual farm) these are the options for you. Have you tried our organic produce yet? If you haven’t, eat up! Introducing Our New Executive Chef: Paul McGreevy!